Loads of my friends are having babies at the moment and on top of that it's full on birthday season in our family. Yan and FunnyGirl are done but over the next few weeks we are really packing them in and I'm hooked on producing cool and funky pressies that no one else has thought of. 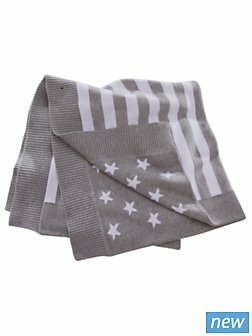 So with all of these new babies in mind I've been looking for cool baby clothing and I stumbled on Very.co.uk and these really cute bits for little ones. 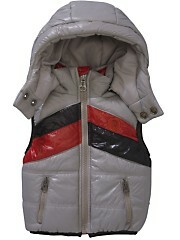 I LOVE, this Diesel baby gilet and at £65 I think that's pretty cool. I've always favoured a gilet over a full on snow suit for a baby as it's so much easier to deal with when they fall asleep in a car seat. For a newborn gift you can't really go wrong with a multi use blanket and this one from Tommy Hilfiger For a new baby gift you can't really go wrong with a baby blanket and this one from Tommy Hilfiger is pretty good for £40. I'm not a huge Hilfiger fan but this blanket rocks. So that's the little ones sorted but what about the bdays in my house? Do you have any other hidden gem sites that you think are worth stopping by?